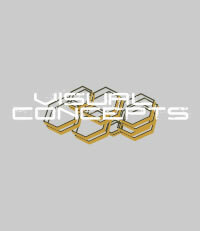 Visual Concepts Lighting Inc Southern California lighting design, providing Landscape Lighting, Roadway & Streetscapes Lighting, Pathways & Pedestrian Lighting, Parks & Recreational Center Lighting, Sportsfield Lighting, Parking Lot Lighting, Municipal Lighting, Sustainable Lighting and all lighting projects. Visual Concepts Lighting Inc (established in 2004) is a full service consulting engineering firm ready to meet any and all of your electrical engineering needs. While we can provide all facets of electrical engineering, VCI has focused their attention on the creation of outdoor “Lighting Portraits”. Not only do we provide expert advice as Lighting Consultant’s, but we also provide the engineering support for Design Documents. Our combined years of actual field experience and our knowledge of Municipal Lighting Ordinances and Codes has enabled us to stand out as an industry leader in the art of lighting. Our experience has won us the respect of many Municipalities and we have been called upon by a number of agencies to assist in the rewriting of Municipal Lighting Ordinances and Design Guide Criteria. Below you will find a list of our key personnel followed by a list of project experience and clients. Please click here for our PROJECT EXPERIENCE. Ken has been in the electrical field for more than 35 years with experience in both construction as well as electrical engineering design. For the last 20 years, he has been working on the engineering side of the industry with an emphasis in lighting design. His actual field experience has given him a tremendous edge over his competition in that he knows firsthand HOW an electrical system is installed, which he is then able to more clearly translate this to the design documents. This approach has enabled him to keep costly change orders down to a minimum for his client’s benefit. He has continued his knowledge in lighting fundamentals and electrical engineering by staying active with on-going classes in his field of expertise. These classes include Lighting Fundamentals through the IESNA and state sponsored classes for Energy Conservation Measures. Ken serves as Vice President of the local chapter of the IES in San Diego. Ken’s experience has caught the attention of many municipal agencies and has been called upon to offer expert advice on lighting ordinances as well as lighting design guide criteria. He also serves as a lighting judge for certain venues and teaches outdoor Lighting Fundamentals for the San Diego chapter of the IESNA. Ken is a proud grandfather of 5. He is an active jazz musician, having played alto and soprano saxophone for more than 30 years. He also enjoys deep sea fishing and regularly enjoys the fruits of his labor. Certificate of Completion, DDC controls, UCSD, City, CA. Certificate of Completion, Electrician, San Diego City College, CA. Certificate of Completion, National Electrical Code, Mesa College, CA. On-going classes in lighting fundamental, applications, Title-24 and UBC, NEC, CEC. Featured in Landscape Architect and Specifier News April 2012 for Murrieta War Memorial lighting project. Featured in Landscape Architect and Specifier News April 2015 for Griffin Clubhouse lighting project. Made front cover! Milt has been in the electrical engineering field for more than 40 years. He has worked for many large San Diego engineering firms and has owned his own company as well. 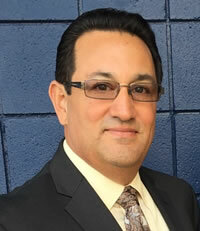 His background includes but is not limited to distribution power grid systems, DDS control systems, voice, data and telecommunications systems, fire alarm control systems and video and security systems. Milt has an extensive knowledge in interior and exterior lighting systems. His knowledge encompasses lighting for streetscapes, parks and recreational facilities, signage, walkways, bridges and tunnels and athletic fields. Among his many accomplishments in the lighting arena, Milt has won many lighting awards during his career, such as the coveted “Orchid” award. Milt has extensive experience in the design of shopping centers including food markets, retail shops and residential/office buildings throughout Southern California. He has an extensive knowledge of codes and regulations for national, state and local jurisdictions. He holds registrations in many states. 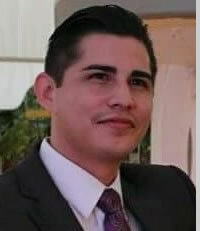 Kenny Jr is the senior member of our company and continues to build his knowledge by staying current with the latest technology in the advancement of Sustainable Lighting. He is also our resident expert in Title-24 mandatory measures for outdoor lighting and stays current with the latest trends through the Illumination Engineering Society of North America. He is also our photometry expert, especially in the art of light renderings and design. He is certified as an expert in AUTOCAD and takes ongoing classes in lighting fundamentals and is very adept to the ever changing LED world. He is also very knowledgeable in lighting control systems and energy management. Kenny has a good feel for the industry, being that he has assisted his father Ken Sr. over the years on many electrical construction jobs. He has a good understanding of what it takes to actually build an electrical system, thus he is able to translate this information into the design. Kenny is the proud father of 1 with 1 on the way. Kenny is an accomplished musician and enjoys playing guitar and piano. Amongst his many hobbies, he enjoys snow- boarding and is an avid salt water aquarium enthusiast.